The online poker world began almost unnoticed at first. Just one or two small websites offering real money games. Nobody could have predicted the financially volatile, thrilling world containing a multitude of heroes and villains that would eventually grow to be contained within its boundless virtual walls. The history of online poker so far has been short, but punctuated with compelling stories and significant dates. Here are our top eight. Planet Poker holds the distinction of being the first online poker room ever to offer real money games. Its initial software tests taking place in 1997. The decision was taken to roll out real money tables in 1998, laying the first cornerstone upon which the online poker world would come to be built. Mike Caro gave the poker room celebrity endorsement, and the level of player traffic soon began to rise. 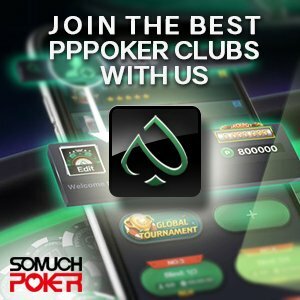 The key component in Planet Poker’s success was the simple fact that at that time, they had the market cornered, as the only real money online operator around. This meant that they didn’t feel a backlash of customer losses when they had early issues such as software crashes. Despite these setbacks in the first few years, it would be hard to deny that Planet Poker had a blueprint for success. After all, many of their ideas about poker software which were implemented back then remain in operation within other online poker clients today. Planet Poker may be a minnow now in the very pond which it built, but the online poker room still exists to this day (Play Money only). In 1999, a new real money website called Paradise Poker stepped into the market. It changed the face of online poker. With better software and three formats of poker offered rather than just Texas Holdem, their player traffic quickly overtook that of Planet Poker. With all these early websites having their own chapter in the story of online poker’s birth, it would be easy to overlook an important truth. The very first hands of poker played on the internet actually took place in 1994. Todd Mummert can fairly claim that moment as his, having written the script which was operated through IRC (Internet Relay Chat). This was an early internet development in the 1980’s which allowed internet users to chat with ease. In truth, Mummert’s poker game would never have built a large fan base, as it required sophisticated technical knowledge just to be able to play. If we were giving out awards for the most pivotal year in the history of online poker, 2001 would almost certainly win them, with two giants of the online world setting up shop. PokerStars and Partypoker flung open their doors during that year, bringing in huge numbers of customers. In the 15 years that have passed since, PokerStars has gone on to dominate the entire market, but only after Partypoker had done the same between 2002 and 2006. The poker boom that began to gather force in the mid 2000’s was estimated to be worth $1 million per day to Partypoker while they still had access to the US market. Advertising campaigns and an understanding of the allure of tournament poker both helped shape the poker landscape back in the early 2000’s and were the primary reasons why Partypoker dominated during that period. They were the first ever online poker room to offer a tournament which guaranteed a prize pool of at least $1 million. In 2016, these titans of online poker remain key players in the industry, with PokerStars having become particularly strong through the last decade. It all began with a $40 satellite tournament. An aptly named accountant used an online path to reach the live poker promised land of the WSOP. Upon arriving, he shook the poker world to its core by going all the way to the final table before defeating old school pro Sammy Farha heads up. He won $2.5 million dollars triggering a collective dropping of jaws among the everyday people of the world as they were all struck with a thought – If he can, so can I. The Moneymaker boom was like nothing ever seen before in poker, and probably the entire wider world of sport. Participation numbers exploded in the couple of years that followed, and the WSOP Main Event field size of 839 in 2003 had become 5,619 by 2005. The online poker world reaped the harvest of this poker revolution, and many players also made their fortunes through hard work and determination to improve their game. The constant stream of amateur players into the poker economy over the following years fuelled a strong poker economy. This continued for over a decade, despite obstacles mentioned here later. October 2006 heralded the first body blow for the online poker industry when the ‘Unlawful Internet Gaming Enforcement Act’ (UIGEA) was added to the bottom of a ‘Safe Ports Act’ at the last moment. This made it illegal in the US to process payments which were linked to internet gambling. Although the new act put payment processors and banks in the cross-hairs more than players, it marked the first chapter in a larger war on online poker. All publicly traded poker rooms left the US market, including Partygaming. PokerStars remained however, and welcomed the entire online US market in through its doors. From that point, PokerStars were unrivalled in profits and player traffic. Partygaming had in fact opted out of this huge market when they didn’t really have to at that point, which essentially gifted PokerStars an industry dominance that remains to this day. Absolute Poker were the first online card room to be damaged by a serious scandal. Details emerged in 2007 of an employee who had managed to alter the software so that they could see opponents hole cards while playing at the high stakes tables. Disappointingly for players, it also emerged that an investigation was only launched after a group of players had pooled together masses of tracked data which showed worrying patterns. This scandal was truly a seismic one, with estimates placing total player losses at $10 million. Due to the popularity of online poker at that time, news spread quickly and Absolute Poker saw their reputation significantly damaged. This had been the only major cheating issue in which players had lost serious money online at that point, but it would be followed just a year later by a near identical scandal at Ultimate Bet. Former employees leaked information that it was possible to access player hole card information through backdoor software while playing. With more than one former employee corroborating the story, Ultimate Bet were forced to admit this had occurred. Full Tilt and PokerStars were the two largest online poker rooms in operation during this time, and both online rooms saw intense high stakes action which made superstars of players like Viktor Blom (Isildur1). The arrival of Swedish prodigy Blom bookmarked the start of an online poker chapter made famous by monumental duels between top pros with millions of dollars being won and lost. After he had enjoyed significant wins against Tom Dwan, Isildur1 became a star of the game. Events which transpired at the end of 2009 revealed the ugly side of this highly competitive world, however. An enormous losing session against Brian Hastings arrived for Isildur1, but all was not quite as it seemed. Details surfaced later when Hastings wrote about the session and admitted he had worked together with Brian Townsend and Cole South in order to take Isildur1 down. The players had pooled together their data mining information which was against the rules, and formulated plans to combat Isildur1 based on this. It should also be noted that Isildur1 ran well below expectancy during this session, but this event served to underline that there was very little honour among some of the top players in the online world. On April 15th 2011 the online poker world was brought to its knees by the sudden seizure of domain names (PokerStars, Full Tilt, Absolute Poker) by the Department of Justice (DoJ) in the US. The entirety of the US market was put beyond the reach of the three largest online poker rooms overnight. Full Tilt collapsed as details surfaced which indicated a serious mishandling of player funds, with player bankrolls frozen immediately. PokerStars later bought the site and helped to ensure that players were paid out everything that they were owed. The fallout was significant for the former owners of Full Tilt, with Ray Bitar, Rafe Furst, Howard Lederer and Chris Ferguson all having to explain a financial shortfall of many millions of dollars. The company was accused by the DoJ of acting as a Ponzi scheme and scamming players out of $300 million. PokerStars ended up paying $1 billion in fines to the DoJ in order to stay in business outside of the US, and they continued to operate successfully post UIGEA. June 12th 2014: Amaya agrees to acquire Rational Group, owner of PokerStars and Full Tilt for $4.9 billion. 2014 saw a serious shake-up at PokerStars, as businessman David Baazov headed a takeover bid which cost $4.9 billion. As part of the deal, PokerStars would become a publicly traded company – the largest one within the industry. In the wake of what was put forward as a new dawn for PokerStars, there were controversies which still persist. Players protested against rake increases and last minute changes to the VIP system when players had already spent the best part of a year earning benefits which suddenly changed shortly before the end of the year. But, despite the takeover and subsequent problems, PokerStars continues to thrive, and remains the largest online poker room in the world.